How a senior expert guides a junior technician on a rig in Vietnam one day and in Mumbai the next, without ever having to leave his desk. We deliver sustainable cost savings for rig owners. We understand that in-region presence is crucial to your operational success. With feet and facilities on the ground, we are ready to rapidly respond at the time, place and to the scale you require. Are you looking for a service partner that offers global support, with the capacity to respond to local needs? Would you like to find out how our out-of-the-box solutions can empower your business? Through cutting-edge solutions and resourceful partnerships, a proactive, 'hands-on' approach, local presence in ports and quaysides, and an unyielding dedication to delivering the highest quality, we keep you on day rate. Allrig’s proactive measures on HSE have helped us achieve 1 million Lost Time Incident free man hours. Allrig Middle East has successfully completed various projects on a Drill Ship for a major International Drilling Company. The project was carried out without incident, and within budget utilising Allrig equipment. Imagine. 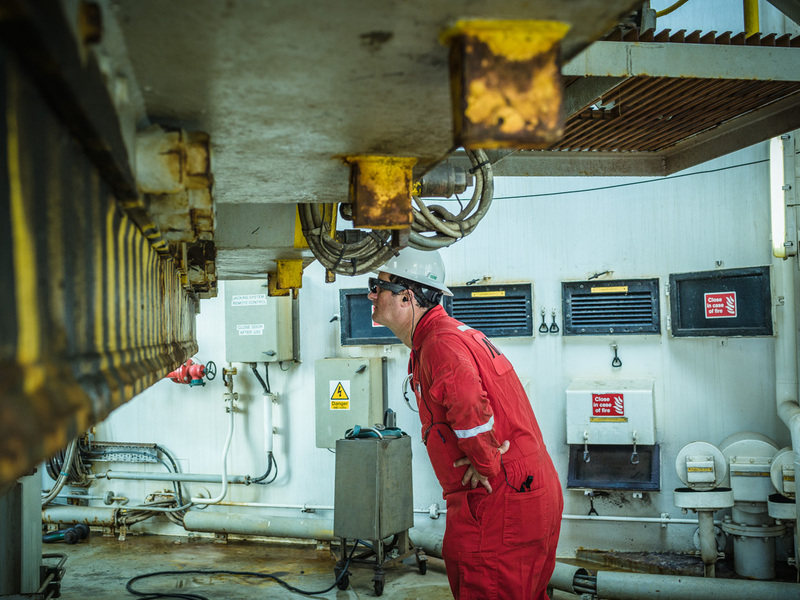 A senior technician’s eyes, experience and voice guiding your technicians on the rig, assessing, troubleshooting, decision-making and fixing problems; all in real time, with no need to fly in an expert from another location. With the new market norm of low barrel prices, everyone in the industry has had to find ways to cut costs, improve savings, while still delivering their services to customers. Allrig is no exception to this industry reality, however what we’re doing to adapt is. We’re seeking out technological innovations that deliver smarter solutions for real problems rig owners face that also create genuine time and cost savings. Allrig’s smart glasses are one of those innovations that Allrig is integrating into it service offering to rig owners around the world. The Allrig smart glass is a technology that enables live streaming of video and audio through a headset worn by a technician on a rig. A senior subject matter expert guides a technician on a rig to assess issues, troubleshoot, make decisions, and fix a wide range of mechanical, electrical, inspection, and other problems, on the spot. Allrig is further exploring uses of the smart glasses and customers can already access the cutting-edge technology and time and cost savings it affords. This is just one example of Allrig’s investments to deliver sustainable cost savings for rig owners, without compromising on quality. We have adapted our strategy by investing in smart partnerships and using the latest technologies, such as smart glasses, drones, remote-operated vehicles (ROVs), predictive analytics, and more. Interested in how our smart partnerships and technologies will benefit you? Get in touch with our Subject Matter Expert Barry Newman, and discover the possibilities.